A meeting is held with an agent to discuss selling your house. We will evaluate the property, take notes, set goals and define necessary steps for getting your house on the market. After the initial meeting, research will be conducted on comparable listings in the area and a second meeting will occur where we discuss valuation and next steps. In order to get top dollar for your home, you may need to put in some work. This could be a quick cleaning and touch up session, but, depending on your sales goals, could also involve finishing some larger jobs. We're here to help guide you towards the most effective preparation. This usually means approaching only the most vital projects for attracting a buyer. We have a long list of contractors that can help you get the project finished and are happy to help you find the best value possible. See our Seller Resources page for a list of service providers. If you are leaving your home before putting it on the market then you will likely want to set the stage to attract potential buyers. An empty home doesn't make for great photography and can fail to connect with web-browsing buyers. We recommend bringing in some furniture and decor items that help inspire buyers to imagine their life in the home. We have several staging contacts and a good eye for what sorts of small additions can make that eye-catching difference you need. Artful and professional photography makes all the difference when listing your property online. We work with talented photographers and videographers to create beautiful online marketing for your home. This effort is essential for attracting would-be buyers to your home. Selling a house requires a lot more effort than simply putting a sign in the yard. 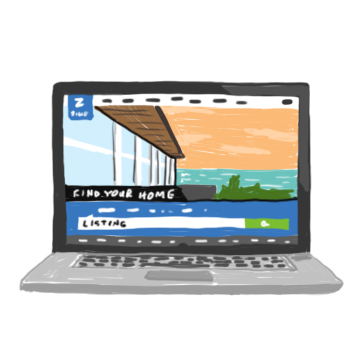 Many of today's online-savvy buyers conduct their own research to find listings they like before contacting an agent. We believe that proper marketing and online placement is key. We place listings on all major online listing sites featuring thoughtful and enticing writing and the beautiful photographic assets we created with our production team. We also use social media platforms and our own web of contacts to further get your property out there. The goal is to generate as much interest as possible in your property to ensure you get the best price possible. We oversee all aspects of the sale process including all communication with potential buyer's agents. When offers start rolling in, we utilize our deep understanding of the process and thorough valuation of your home to help us get the asking price you are seeking (and hopefully more). Although negotiation can be difficult, we will have set clear expectations for buyers and will guide you in the selling process to ensure that there are as few surprises as possible. It's closing time but there is still lots to do. We will coordinate with the buyer's agent to help process paperwork and collect signatures, staging will be removed, signs will be removed, online status will be updated, keys will be exchanged and, most importantly, funds will be transferred.